Last week, Elizabeth May released the Green Party's environmental platform for October's election. A significant part of the platform was a carbon fee and dividend (CFAD) proposal lifted from their provincial Ontario counterpart's latest election campaign, much to my chagrin. CFAD puts a set price on carbon pollution and places the revenue in a dedicated account that is returned directly to households in the form of a carbon dividend cheque. CFAD would not affect other government programs or taxes. The details of the the Green CFAD proposal were not particularly popular in progressive circles; an editorial from the Vancouver Courier was quick to highlight some of the approach's weaknesses. Here's where I'm at: yes, carbon fee; hells no, dividend. Pigovian taxes work. Tax environmentally destructive practices in order to discourage them. 100% agree, but why on earth would the Canadian federal government inefficiently give carbon cheques back to the everyone 18 and over? Put the money in general revenue and offer quality public services. Recall that the Green Party supports the creation of a national basic income, which is in part justified by replacing inefficient OAS and EI administration with a Keynesian re-distributive $20 000 guaranteed income for all Canadians. CFAD seems disconnected to the overarching eco-social democratic ethos of the party, as led by Elizabeth May. Beyond obvious inefficiency, I have four problems with CFAD. 1) Market-based solution for market-caused problem. Carbon cheques are justified by saying that they'll pad the impact of the inevitable rise in prices of carbon intensive goods and services. The point of a carbon fee is to discourage the consumption of these goods and services; it's counterproductive to mail out cheques that will only slow down much needed changes in destructive consumption patterns. 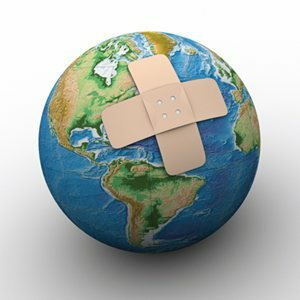 Managing the climate crisis will not occur in a vacuum. CFAD is not the 'silver bullet' policy to reverse/stall catastrophic climate change it's offered as in order to recruit broad political support. Given the Greens have no chance at forming government, all of their platform points need to be palatable as stand-alone policies. Enter problem: it takes an immense amount of privilege to advocate CFAD as a stand-alone policy. If you have the the time and mental capacity to debate the details of climate policy, you probably have safe drinking water and have eaten a couple good meals today. CFAD ignores the interconnections between colonialism, poverty, inequality, and climate crisis management. Check your privilege. Mental health, preventative health services like physiotherapy and massage, pharmacare, and public dental care are great initiatives that would create a more equal Canada. Go figure; they're expensive. I'd much rather fund these initiatives than receive carbon cheques via (e)mail. 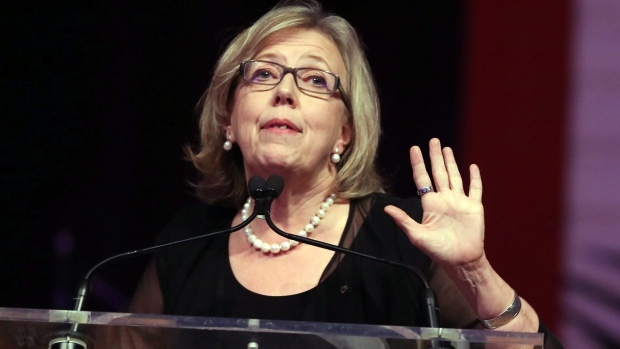 Elizabeth May has led the Green Party from the left. This style of leadership is not consistent through Canadian Green history (ex. former leader Jim Harris, who endorsed John Tory for Toronto Mayor), but progressive leadership has undeniably seen the party rise to its highest level of success, and it's why I maintain party membership. CFAD departs from the narrative of the Green Party being Canada's progressive party of principle. CFAD is a populist-libertarian policy designed to tweak, rather than replace Canadian neoliberalism. The policy says "we're going to put YOUR money back in YOUR pocket, so keep calm and carry on." This approach defies the styling of most party policy, which leans into social and economic justice. I'm not sure if CFAD is a calculated risk to recruit libertarian votes in British Colombia, where the party is competitive in several ridings, but I'm not alone in my disappointment in this departure from principled policy making. No Canadian political party has an environmental plan without a glaring problem. The NDP are hawking a cap and trade model that would only work under perfect theoretical conditions; the Liberals support Keystone, and the Conservatives aren't even pretending to care. With the Greens regrettably advocating CFAD, there isn't even a clear a 'least of evils' winner on environmental policy. Environmental policy highlights the shortcomings of partisan politics and the importance of public interest research. Best practices are rarely crystallized in party policy, and I hope that Canadians realize the importance of dedicating their activist and academic efforts to both formal and informal politics. Well written, thank you for enlightening me! Will have to reread and do a bit more research. Issues like this are important to me.